"In 2011 (a year of earthquake, tsunami and nuclear crisis in north-eastern Japan) Kenji Uranishi’s production of ceramics fell to almost zero, because nearly every work commenced by the Japanese-born ceramicist faltered in the fiery atmosphere of his kiln. In his adopted home of Brisbane, Kenji's sublime constructions of glazed porcelain seemed to suffer torment and trauma analogous to that his family, friends and homeland were enduring in his absence. 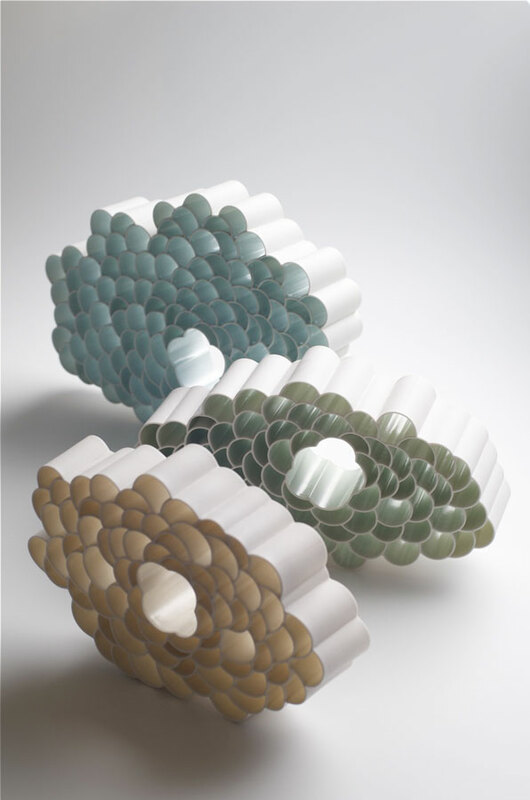 While appearing to be extremely fragile, Uranishi's finished pieces are massively strong, being (as they are) made of stone. It is during the firing process that the artist's finely wrought and assembled slab constructions turn slightly liquid and are prone to collapse. "From that year of gloom, one enigmatic work survived the rigorous shakedown of Uranishi's intricate, daring and exacting construction processes. Entitled Forgotten Flowers, the seven pieces that make up this work are an enduring homage to the victims of the 2011 Japanese catastrophe. 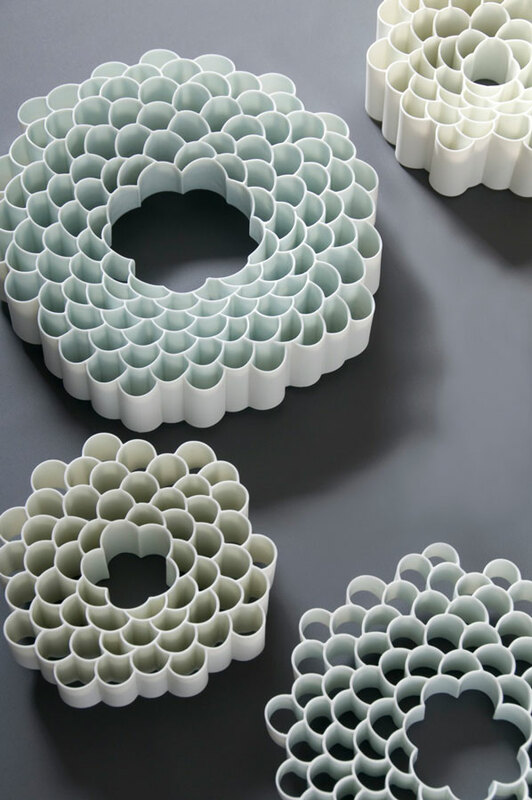 Comprising an intriguing mix of concave and convex forms, with subtle variations in glaze colour on their luminous petals, Uranishi's Forgotten Flowers resemble living organisms in the way they respond to varying light conditions."